In contrast to the bright and sunny imagery of the Shire, this movie follows the adventures of Hobbit Bilbo Baggins as he treads eerie places to get his share in the treasure guarded by the dragon Smaug. He is accompanied by Gandalf and the Dwarves. They finally arrive in Smaug’s lair, but will they be successful in their quest? Director: Peter Jackson. Starring: Ian McKellen, Martin Freeman, Richard Armitage, Orlando Bloom, Cate Blanchett, Elijah Wood, Hugo Weaving, Christopher Lee. In Theaters: December 2014. Two years after fighting the battle in New York with the Avengers, Steve Rogers now resides in Washington, D.C. leading a normal life in contemporary society. But after an attack against a Strategic Homeland Intervention, Enforcement and Logistics Division (S.H.I.E.L.D.) member, he once again suits up as Captain America and teams up with the Black Widow. Upon uncovering an entire scheme threatening the globe, they seek help from the Falcon. In doing so, they meet their adversary, the Soviet Agent known as the Winter Soldier. This new film is based on Frank Miller’s latest graphic novel entitled Xerxes. Greek General Themistokles attempts to unite all Greek city-states by storming the seas and leading the charge that will shape the course of the war. Themistokles battles against the mortal-turned-god Xerxes and his massive troops, and a spiteful Persian commander, Artemesia. Viewers can expect no less than the astounding visual effects similar to the first 300 movie. Director: Noam Murro. 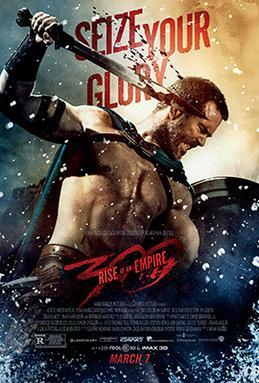 Starring: Sullivan Stapleton, Eva Green, Lena Heady, Rodrigo Santoro, Hans Matheson, David Wenham. In Theaters: March 2014. 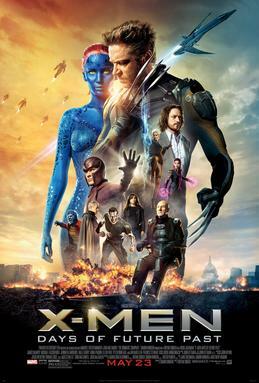 In an attempt to save the future, the original characters from the X- Men Trilogy team up with their younger selves in X- Men: First Class I and engage in an epic war to change the past for the survival of species. Director: Bryan Singer. Starring: Hugh Jackman, James McAvoy, Michael Fassbender, Jennifer Lawrence, Halle Berry, Anna Paquin, Ian Keller, Ellen Page, Peter Dinklage. In Theaters: May 2014. The Grand Budapest Hotel is set in the 1920s, during the period between World War I and World War II. It follows the story of a legendary concierge named Gustave H who works at a famous European hotel, and Zero Moustafa, a lobby boy who would later become his protégé. Their adventures include the theft of a Renaissance painting and the battle for an enormous family fortune, all interwoven against the backdrop of a changing European panorama. Director: Wes Anderson. Starring: Ralph Fiennes, Lea Seydoux, Jude Law, Saoirse Ronan, Bill Murray, Owen Wilson, Jason Schwartzman, Edward Norton, Tilda Swinton, Adrien Brody. In Theaters: March 2014. A sequel to the 2011 movie, Peter Parker continues to live his life as a superhero while balancing school life and time with his love, Gwen Stacy. He faces new enemies with the entry of a new villain, Electro, and the return of an old pal, Harry Osbourn. Along the way, he discovers secrets from his past. Director: Marc Webb. Starring: Andrew Garfield, Emma Stone, Jamie Foxx, Dane DeeHan. In Theaters: May 2014. In the last book of the Hunger Games series by Suzanne Collins, protagonist Katniss Everdeen leads the rebellion of District Panem, a nation that emerged from post- apocalyptic North America, against the hegemonic and totalitarian regime of the Capitol. This final installment is a two-part movie which is expected to bring the same amount of success as the previous ones. Director: Francis Lawrence. Starring: Jennifer Lawrence, Liam Hemsworth, Josh Hutcherson. In Theaters: November 2014. Childhood memories or fears are bound to be relived in “Maleficent,” a new Disney movie that tells the story of “Sleeping Beauty” through the eyes of the villainous self-confessed Mistress of All Evil. 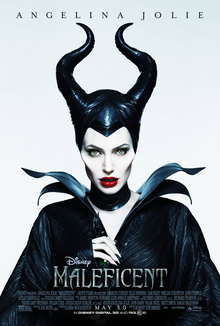 The movie promises to be interesting because it will show past experiences of Maleficent which hardened her heart and ultimately made her put a curse on the young Princess Aurora. A rest from fictional tales, The Monuments Men is an action-thriller based on a true story of the greatest treasure hunt in history. The movie is from the book The Monuments Men: Allied Heroes, Nazi Thieves and the Greatest Treasure Hunt in History by Robert M. Edsel with Bret Witter. It focuses on an unlikely World War II Allied platoon composed of seven museum directors, curators, and art historians, who was given the task of going to Germany to rescue artistic masterpieces in the possession of Nazi thieves and returning them to their rightful owners. The looming mission seems impossible considering that the art works are with the enemy, the platoon is lacking in military prowess, and on top of that, an order has been made by the German Army to destroy everything as the Reich fell. The Monuments Men risk their lives as they try to prevent the destruction of 1000 years’ worth of culture and preserve man’s greatest achievements.